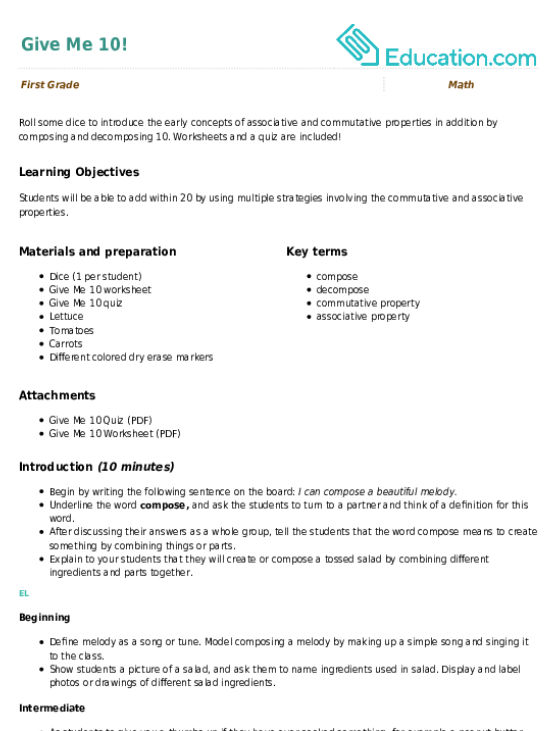 "Add and subtract within 20, demonstrating fluency for addition and subtraction within 10. 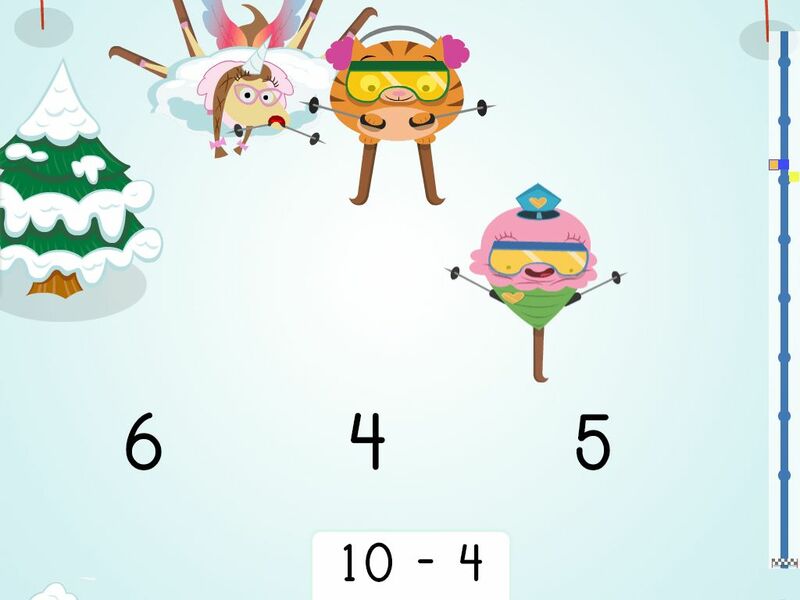 Use strategies such as counting on; making ten (e.g., 8 + 6 = 8 + 2 + 4 = 10 + 4 = 14); decomposing a number leading to a ten (e.g., 13 - 4 = 13 - 3 - 1 = 10 - 1 = 9); using the relationship between addition and subtraction (e.g., knowing that 8 + 4 = 12, one knows 12 - 8 = 4); and creating equivalent but easier or known sums (e.g., adding 6 + 7 by creating the known equivalent 6 + 6 + 1 = 12 + 1 = 13)." 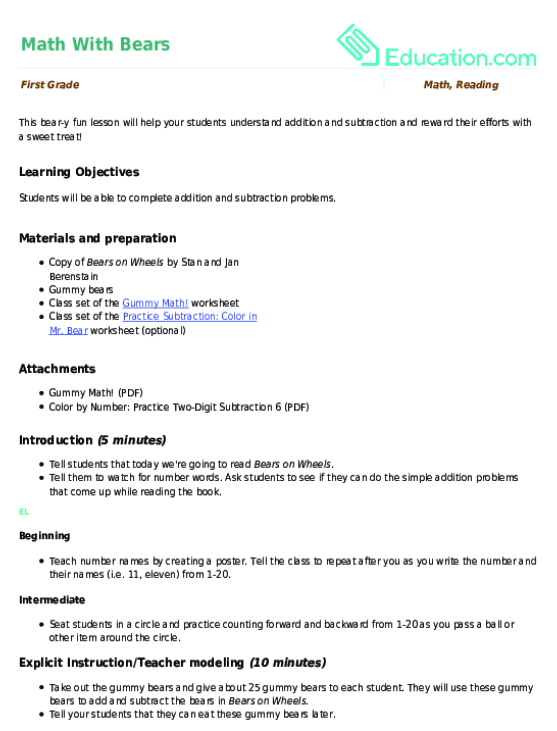 Our Take:Students will solve addition and subtraction problems within 20 through various strategies. 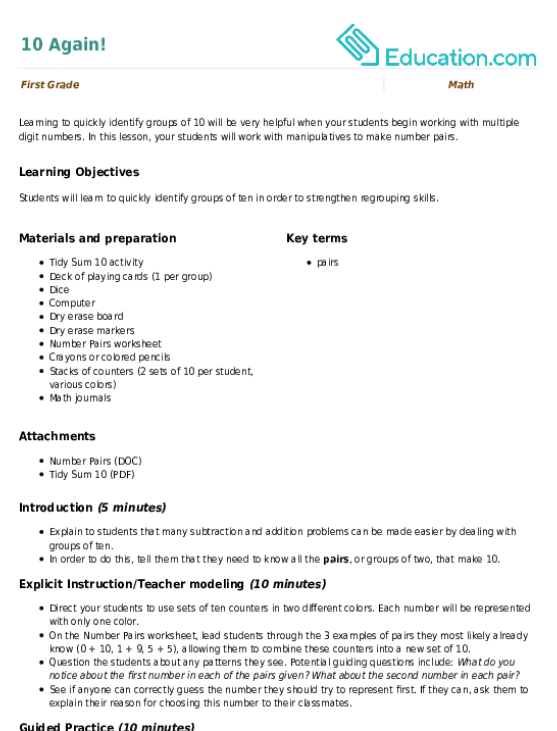 For example, the student may use double facts to efficiently solve an addition problem. 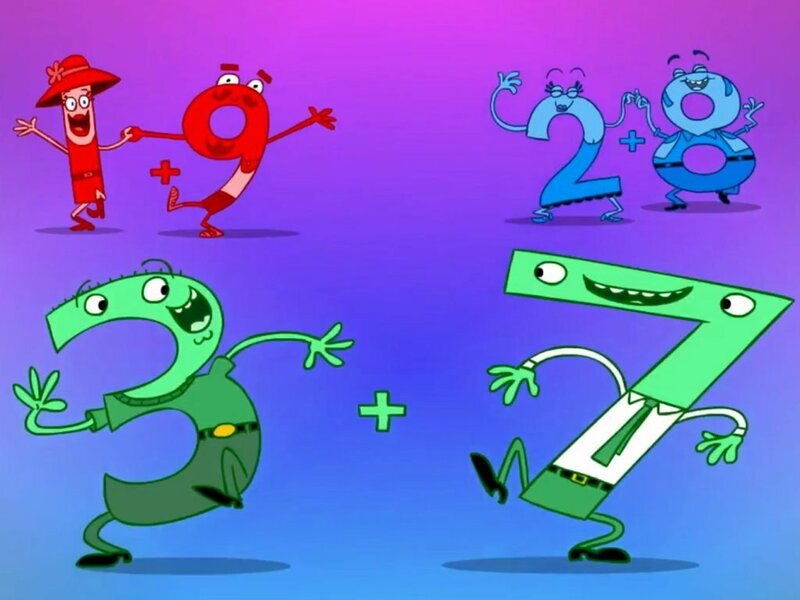 When finding the sum of 5 and 6, the student can use his knowledge of double facts by breaking 6 down to 5 and 1, resulting in this equation: 5 + 6 = 5 + 5 + 1 = 10 + 1 = 11). Students also quickly use addition and subtraction facts within 10. 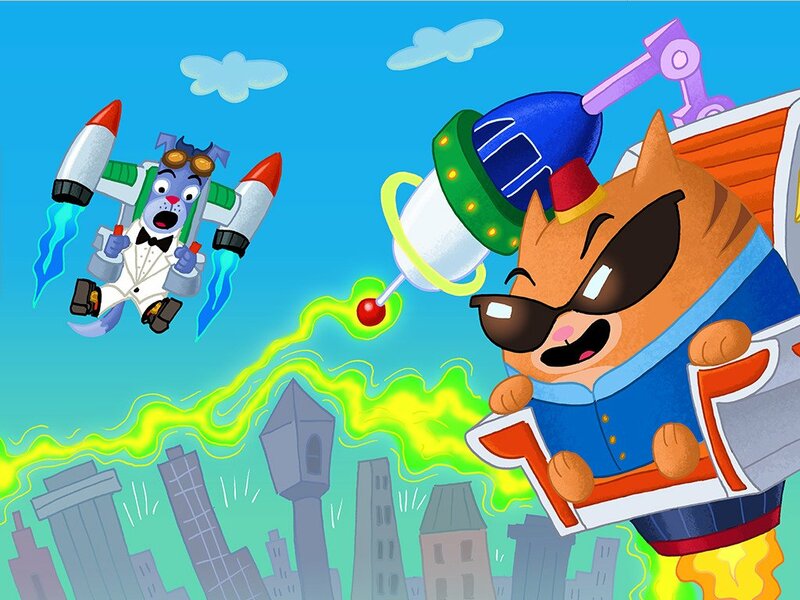 Hunting for a fun maths puzzle? 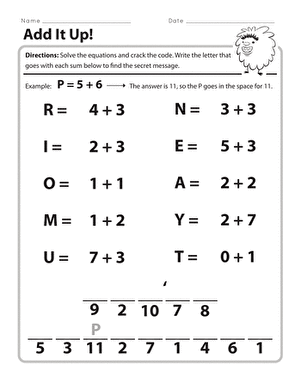 This printable worksheet will flex your child's addition skills to spell out a famous name! 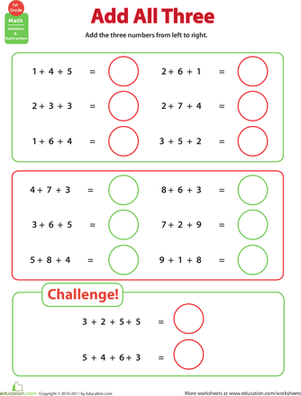 Get this set of worksheets, with four pages of maths practise, adding two numbers together, to help your child develop basic addition skills. 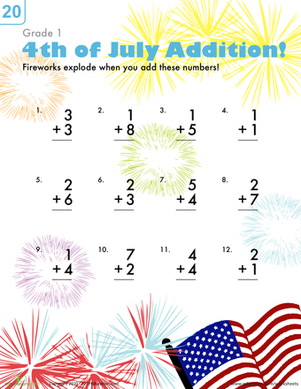 Liven up addition for your first grader; this brightly colored worksheet's full of fireworks and fun. 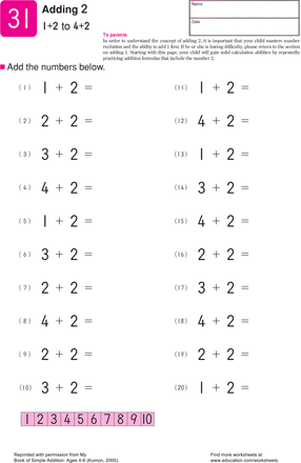 If your child is looking for a number challenge, we've got the worksheet for her. 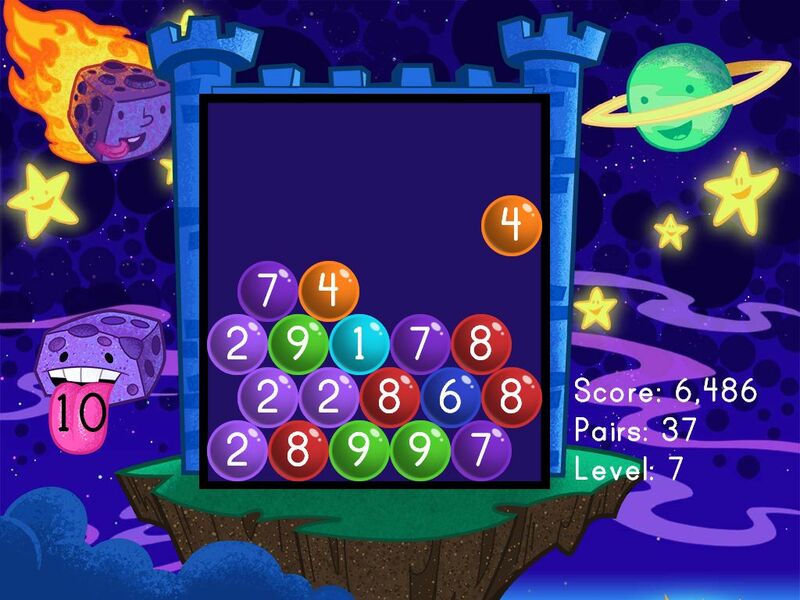 She may be a whiz at adding two numbers, but can she add three numbers? Learning to quickly identify groups of 10 will be very helpful when your students begin working with multiple digit numbers. 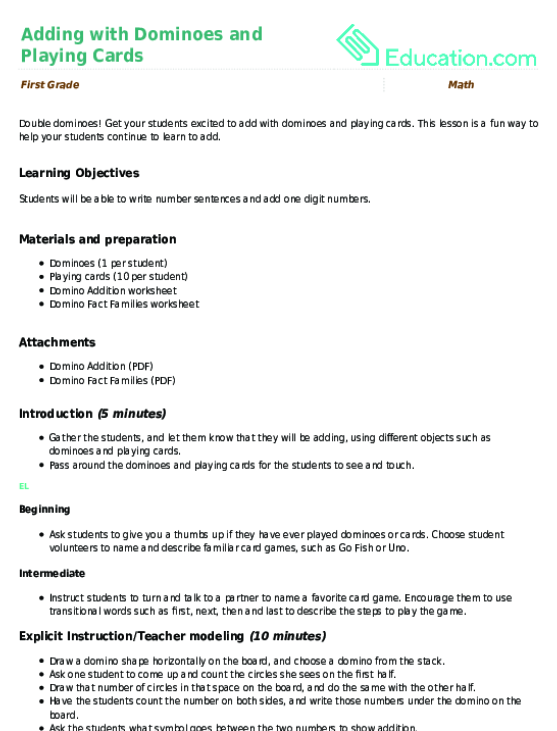 In this lesson, your students will work with manipulatives to make number pairs. 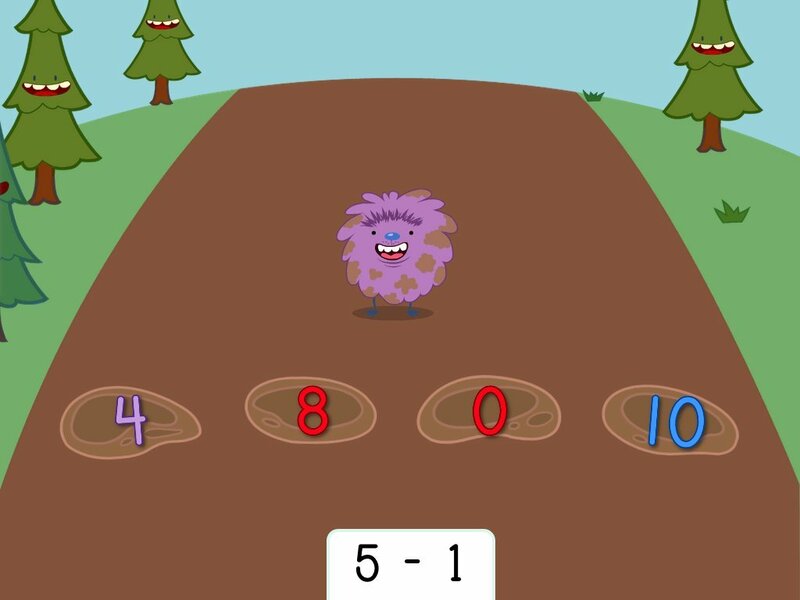 Kids practise solving abstract subtraction problems in this maths game.